Beautiful baby boy gift set in blue, black & red with a motocycle driving theme. Available in 6-9 months, 9-12 months & 1-3 years sizes. Comes packaged in a white gift box with a branded tag attached. 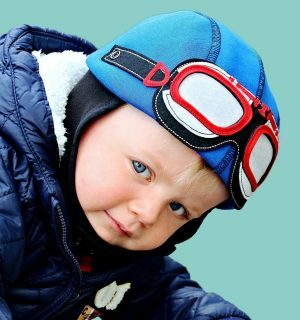 This cute baby hat is designed for little boys and girls who want to go on an adventure & stand out from the crowd. 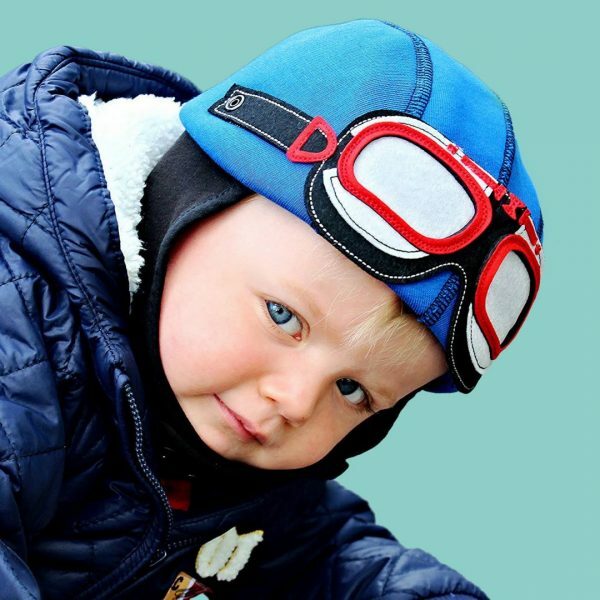 It is ideal if you’re looking for baby gifts, baby hats, boy hats, girl hats & toddler hats. 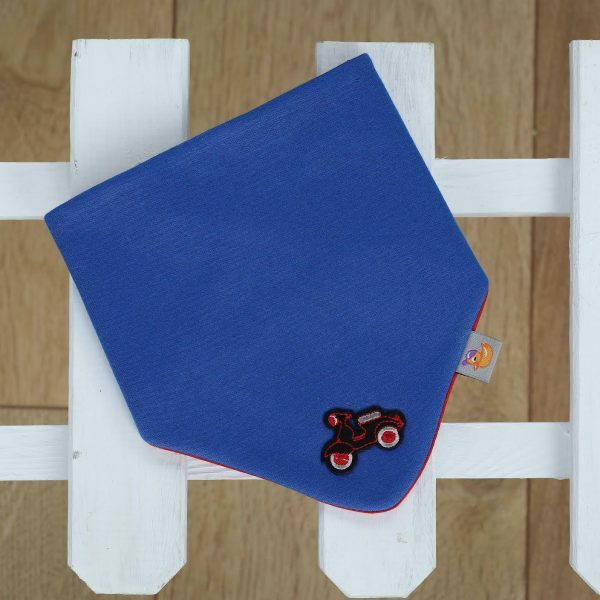 Beautiful and very trendsetting baby boy gift set in blue, black & red with a motocycle driving theme. This baby boy gift set really stands out and will bring smiles to the faces of anyone who see’s it on your baby or toddler. It will also make your toddler feel adventurous and unique which really helps his or her confidence and helps drive both the imagination and desire to play. 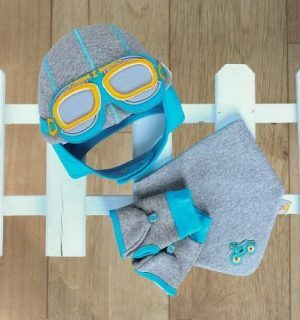 This cute baby boy gift set is designed for little boys and also for little girls who want to go on an adventure & stand out from the crowd. 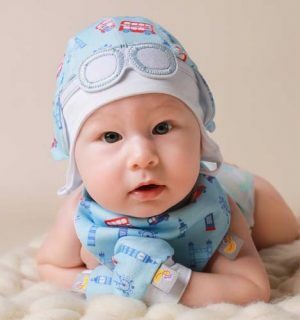 It is ideal if you’re looking for baby gifts, baby hats, boy hats, girl hats & toddler hats. The vibrant blue cotton really works well with the red and grey goggles, the hat sits on top of the head like an old fashoined motorcycle helmet. 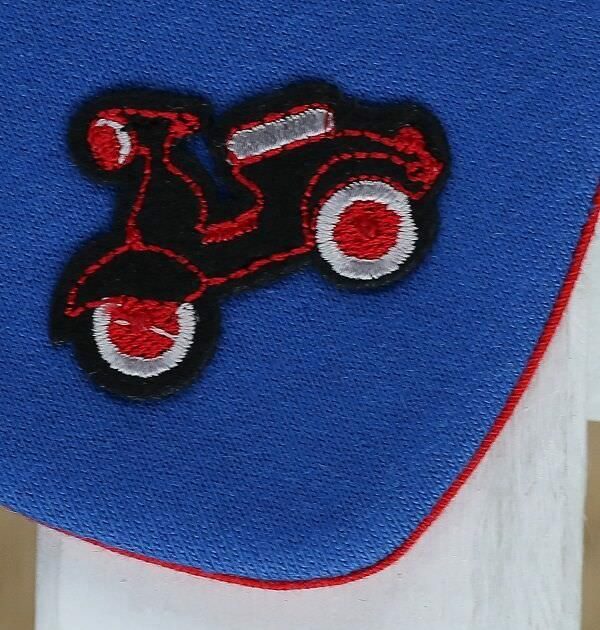 The bib has a scooter motorcycle embroidered onto it and the gloves can be worn with fingers in or fingers out. 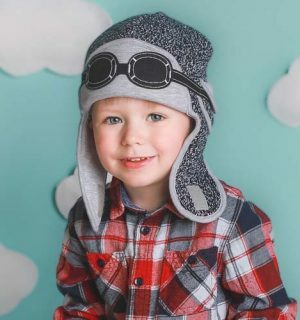 The hat is an all year round hat, its warm enough to keep a little adventurers head warn on mild winter days as well as keeping the head covered from the sun on mild summer days. If its a very cold day we would suggest purchasing one of our knitted winter hats, we have pilot winter hats as well as cat knitteed winter hats to keep a little head warm in the coldest of conditions. 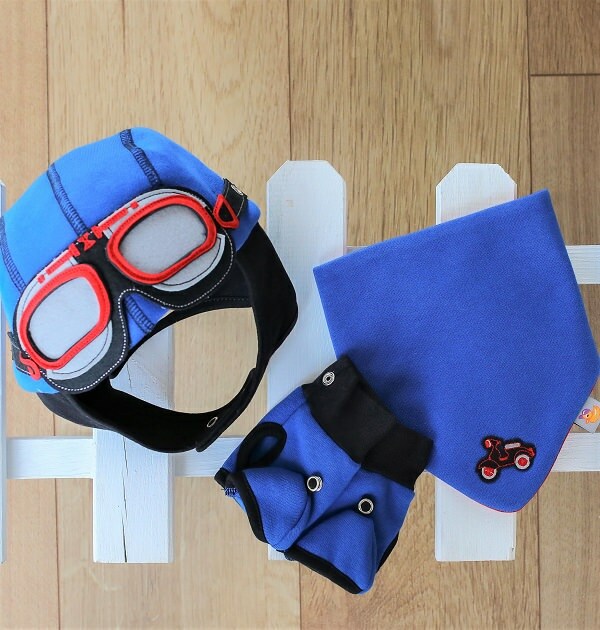 This baby hat is sturdy and strong and will last for many adventures with your little one. This gift set is available in 6-9 months, 9-12 months & 1-3 years sizes and it comes packaged in a white gift box with a branded tag attached. We recommend that each sized hat can be worn one month before the stated hat size and the hat is stretchable so can last longer than the stated hat size.